Would you like to refine your professional career? The CJEVS, in collaboration with its various partners, offers enriching experiences to help you develop your skills. Get assistance setting up projects, take part in stimulating activities and discover what a positive difference you can make in your community. Your professional and personal development begins here. 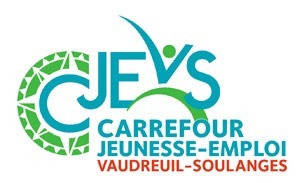 The CJEVS supports young people between the ages of 15 and 35 in Vaudreuil-Soulanges in their quest for a path that excites them and provides support to businesses in recruiting and integrating employees.